Sony Music Entertainment, Warner Music and Universal Music have teamed up to demand that Sky Ireland implements a so-called "three strikes" regime to deal with pirating subscribers. Its understood that Sky has no objection to disconnecting persistent copyright infringers but will not do so without a court order. A report suggests that Vodafone is also being targeted. 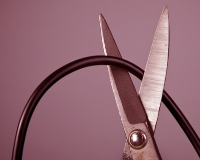 At the turn of the last decade, the Irish Recorded Music Association (IRMA) ended legal action against local ISP Eircom when the provider agreed to implement a so-called “three strikes” regime. The agreement saw member labels including Sony, Universal, and Warner tracking allegedly-infringing Eircom subscribers online and Eircom forwarding infringement notices. Those caught three times would be eligible for disconnection from the Internet. Under an agreement to give Eircom a level playing field, the labels targeted another ISP, UPC (later taken over by Virgin), with a demand to implement the same scheme. UPC dug in its heels and the case dragged on through the legal system. In 2015, the High Court ruled in favor of the labels, rejecting complaints from UPC that it’s not an ISP’s job to police its subscribers’ activities online. Now, more than three years later, the labels are back again with a renewed effort to have the graduated response scheme introduced more widely in Ireland. This time around, Sony, Warner and Universal are targeting Sky Ireland. According to the Irish Times, Sky has told the labels it will comply with their demands but has asked that they obtain a court order first. Sky, which is already collaborating with the Premier League to block infringing streams, said that it was “actively working” with the industry to deal with online piracy. Asking for a court order to be produced is standard form in such cases but given Sky’s track record in such matters, it probably won’t be putting up much of a fight. The issue of costs is likely to be a matter for dispute but putting the regime in place is unlikely to be a sticking point. In response, the labels (under the Irish Recorded Music Association umbrella) initiated a claim in the High Court this week, with supporting papers filed by IRMA chief Willie Kavanagh. IT reports that IRMA is also in talks with Vodafone Ireland to implement the same anti-piracy scheme but the ISP has “raised technical concerns and sought more time.” In any event, Vodafone is extremely unlikely to begin disconnecting customers without a legal basis so a court order will be required in this case too.